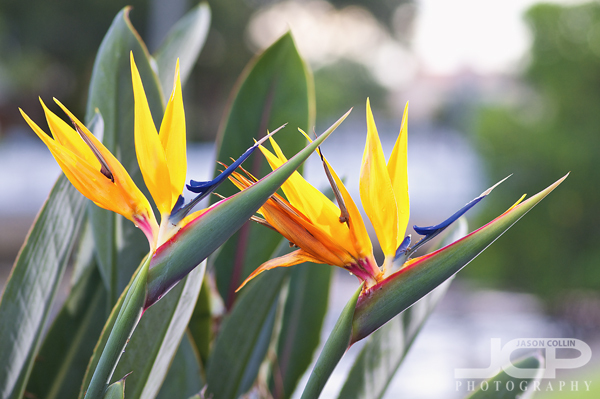 I had been wanting to photograph these Bird of Paradise (strelitzia) flowers in my neighborhood for at least six weeks. Day after day I would be walking Kiki past the flowers thinking, "maybe this evening I will come photograph them." Then there would be no good ones in bloom. By that I mean already dying petals on the flower or they were too low to the ground and therefore I could not photograph the flower with a clean (no distractions) background. Finally, after a heavy rainstorm, everything came together two evenings ago and I was able to accomplish a photography goal and continue the Snell Isle Series. Nikon D300 Nikkor AF-S 105mm VR micro f/2.8G @ f/22 ISO 200 1s Strobist: Nikon SB-800 Speedlight @ 1/16th power with diffuser cap on tripod backlighting flower triggered by Yongnuo radio remotesBird of Paradise flowers secrete a nectar that ants love to eat. 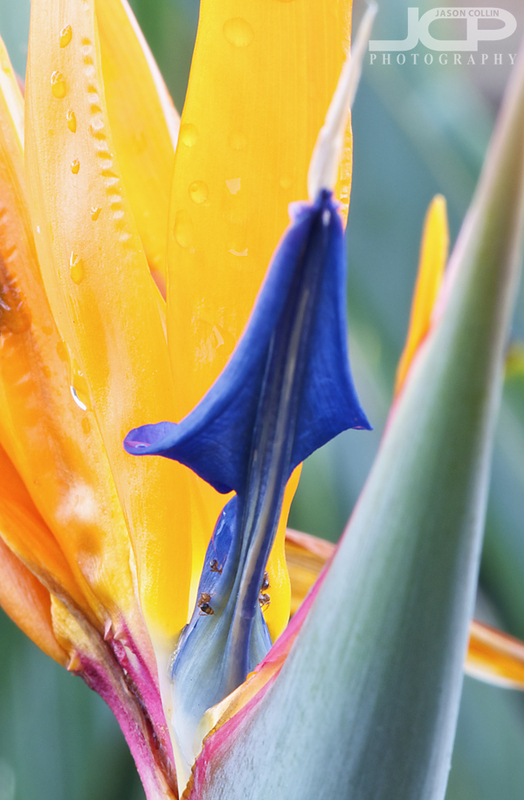 Even just a short time after a very heavy rain, the ants were already back out to the nectar trough. I did not even think to sample the nectar myself until just now! Maybe next time I pass by. 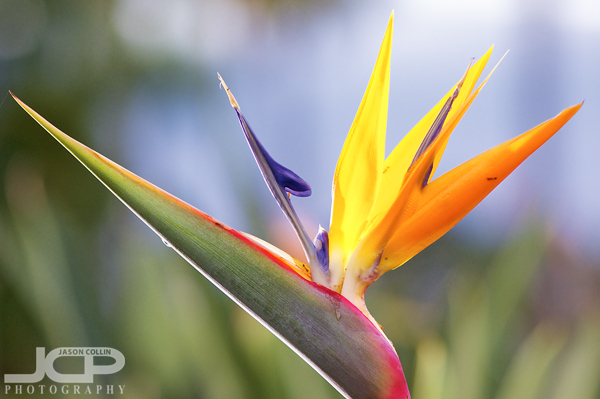 I cannot help but think if one of these is really angry that the other totally invaded its space . . .The type of Bird of Paradise flower that grows in my neighborhood are part of medium-sized long-leafed plants that make for very attractive landscaping even without any blooms. I will still keep my eye out for a particularly good bloom for future photographs, especially one with a lot of ants feeding on the nectar.